Denny Jump (Bellevue, WA, United States) on 29 November 2018 in Sport & Recreation. 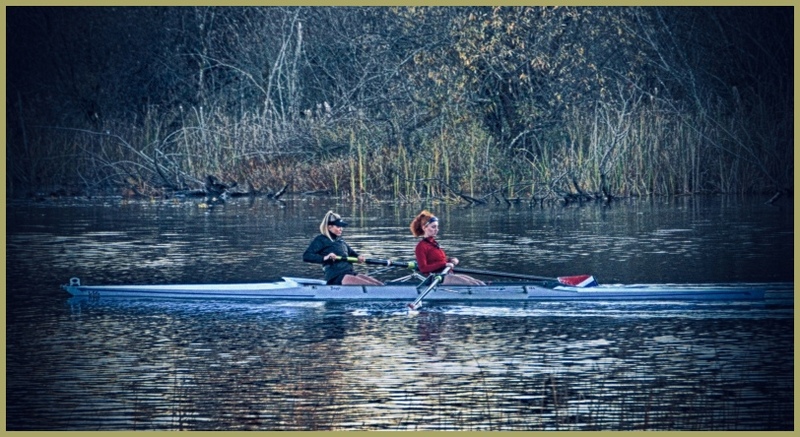 Two women meticulously and solidly forging along as they proceed onto Lake Sammamish in their crew boat. I loved the look of determination in their faces and the feeling of confidence that I could easily sense, even from hundreds of feet away! Just the way to keep fit. Excellent capture Denny. @Shaun: Thank you, Shaun! Sorry to be so late responding! They certainly seem to know what they are doing. A beautiful capture, Denny. @Steve Rice: Thank you, Sir...Sorry this response is si late! Bless 'em for their outdoorsy ways, I says ! A fine shot, good sir. They look very determined indeed! Nice action shot! Nice to hear from you Denny - hope things are going well!